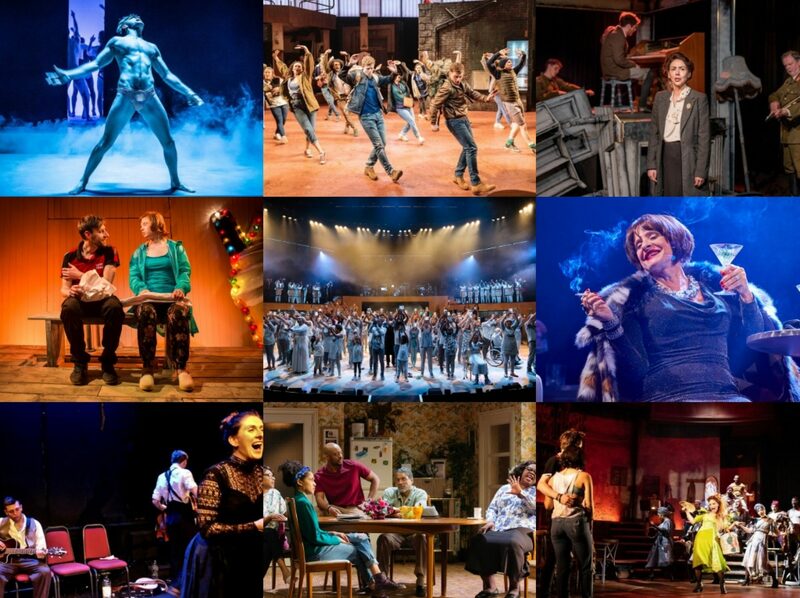 I have to admit to not being entirely won over by Kneehigh. They spoken of with such reverence but the handful of shows of theirs that I have seen haven’t really won me over to their style. I found the archness of The Red Shoes lacking in emotion, The Umbrellas of Cherbourg tried too hard to force too much quirkiness, A Matter of Life and Death just left me baffled! But Emma Rice’s retelling of a Hungarian fairytale, The Handless Maiden, retitled here as The Wild Bride feels like something closer to Kneehigh’s raison d’être, combining light with the dark, humour with the tragedy, and consequently I found it highly enjoyable. When a miller accidentally sells his only daughter to the Devil and has to chop her hands off as it turns out she is too pure to be taken, the girl ends up in the harsh world of the forest where hardship is endured, opportunity presents itself but the Devil is always keeping a watchful eye. The company of six – actors, musicians, performers, dancers, artists – tell the story in typical Kneehigh style, embracing a world of influences the most significant of which are the enchanted dark forests of the Brothers Grimm with their mysterious feel and the American South of the Great Depression, with the twang of blues guitar never far away. The end result is something close to magic. The way in which the three women represent three stages of the girl’s life is beautifully essayed, allowing the individual strengths of each performer to shine through but never letting us forget they are three parts of the whole. Audrey Brisson, a former Cirque Du Soleil artist, the wide-eyed youngest part, ‘The Girl’, her heart broken by her father’s unwitting betrayal and her burgeoning sexuality irresistible to the Devil is powerfully portrayed, there’s such an easy grace about her movement. Patrycja Kujawska’s expressive physicality as ‘The Wild’ is just sensational as she wordlessly takes us from the fear of roaming the forest helplessly with just stumps for hands, to the playful joy that comes from her meeting with the Prince and the new life he offers, through to the sorrow that inevitably follows on. And Éva Magyar’s ‘The Woman’ carries the weight of experience with dignity, her wildness mellowed by motherhood and ultimately rewarded in a moving finale. Etta Murfitt’s choreography often has the other two echoing movements of the lead to further underscore their inter-connectedness. Stuart McLoughlin makes for a charismatic Deep South gentleman of a Devil, often strumming away on his guitar whilst waiting for his chance to strike, and there’s some nice doubling from Stuart Goodwin as the hapless father who later re-emerges as an exuberant Scottish Prince who falls for this mysterious woman yet falls prey to the Devil’s machinations to try and drive them apart. But where Kneehigh have really succeeded here is in returning to a clarity and simplicity of their artistic vision, there is little here that seems superfluous but rather there’s an organic feel to every aspect of the production. The various influences melded into an effective whole as exemplified by Stu Barker music, which folds in the Americana of country and bluegrass with Eastern European laments and folk dances, Ian Ross playing much of it but ably assisted by multi-talented company, Brisson’s exceptionally gorgeous voice and Kujawska’s violin-playing in particular standing out. There’s a slightly incongruous moment where the live music gives way to the icy electronica of Portishead’s ‘Machine Gun’ but it does work well in context. 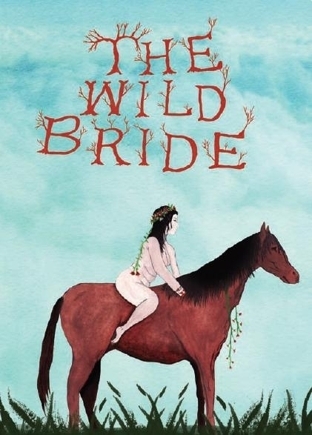 In Bill Mitchell’s slightly sinister fairytale-inspired design, The Wild Bride works its persuasive magic with great skilfulness and charm, and no small amount of humour which lifts this sweeping tale, with its unexpected peaks and troughs, of great determination in the face of horrendous odds up to something rather special.